I finished this blazer a while ago but am just now posting it. What took me so long? In the end, I really don’t like the blazer. I am just not thrill with it now that I have it done. I don’t like the fit, the fabric or even the buttons that I used. I made muslin of this pattern and fussed with the fit until I thought I had it perfected. For the fabric, I should have underlined the wool, but didn’t. No good reason why? I just didn’t. 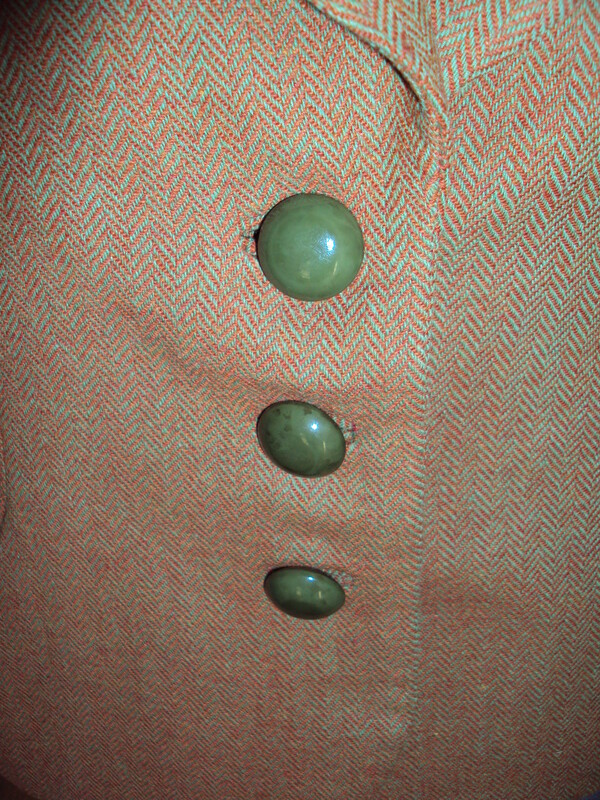 And the buttons, I fell in *love* with these at Mood and had to have them and thought they would be perfect for this blazer – but now. Not so sure. 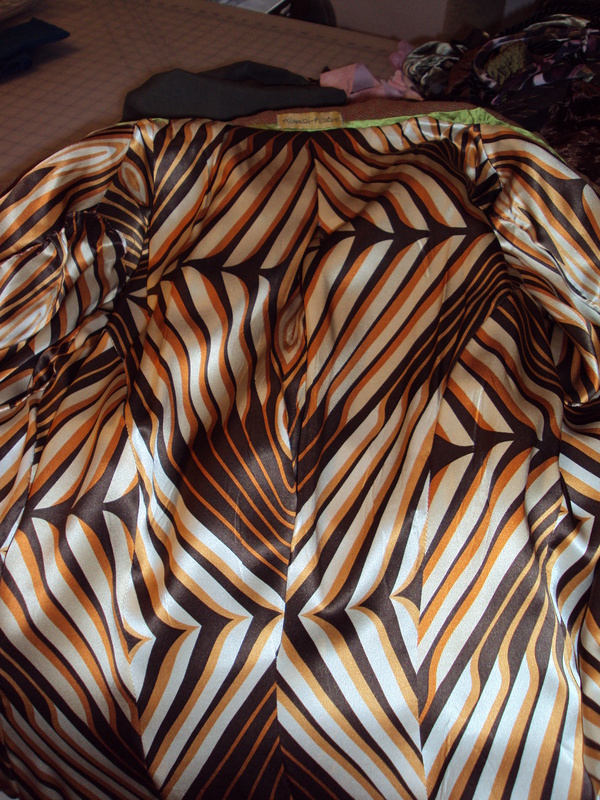 Also, I bought this *groovy* silk charmeuse at Michael Levine’s for the lining, but I think I liked the fabric better on the bolt. I have worn the blazer once and discover that the fabric snags so into the closet it has gone and has been hanging there every since. Maybe I will like it as time passes . . . who knows. With every project I learn a little bit more about sewing, about what I like to wear and about how clothes fit and how to fit clothes to myself. This was just one of those garments that I learned a great deal while making it, but in the end I don’t have a blazer that I want to wear. This sort of thing happens to me a lot. I am still learning to pick the right fabric for the right pattern and make sure they are all good for me. It’s nice to know that other people run into these troubles too! It is kind of a herringbone weave. I too have had trouble with this type of fabric sagging. And it doesn’t look that bad on the mannequin. Let it age a bit. I can SO relate. Even with the fabric being appropriate to the project, liking the colors, doing all the important painstaking tailoring etc. ; I have made so many, many garments that fit just fine but, in the end, I do NOT like them. Even with people complimenting me on the garment and asking where I bought it, on and on, even hanging it up in the closet and coming back to it later — I just want the wretched piece GONE. So, I know exactly how you feel. I love it! It has a European look and style this is very you! I hope you start wearing this marvelous creation, the buttons give it the John Fluevog look. Hello. 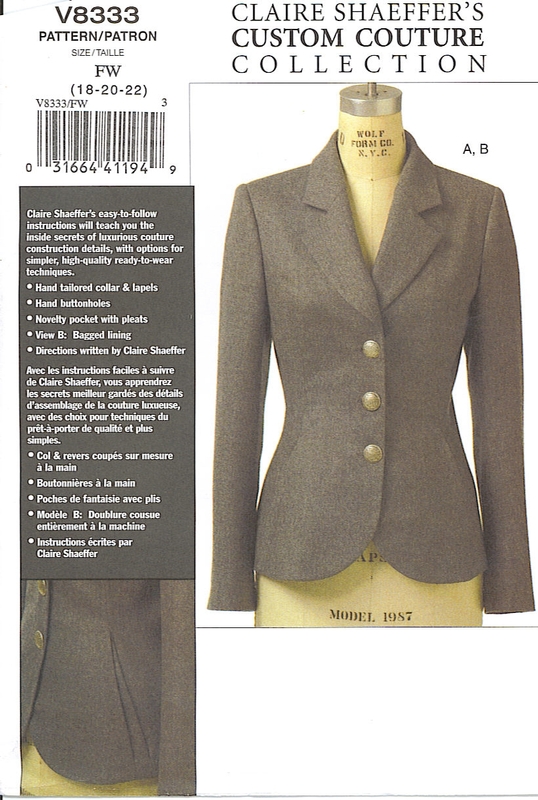 I just found your blog via pattern review when I search for Vogue 8333. 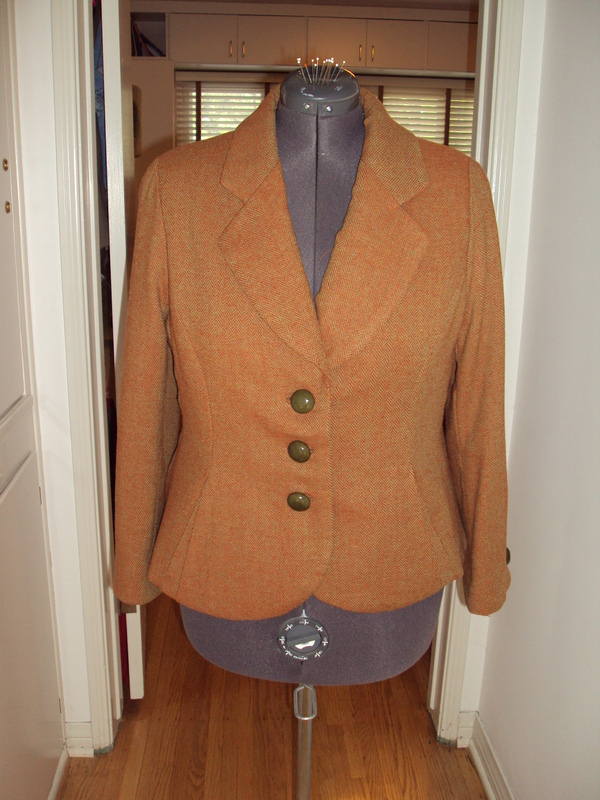 I am sewing this jacket through a tailoring class I signed up. I think yours finished very nicely! I made up a muslin in size 20, but felt it was a bit loose for me, so remade it using the size 18 seam lines. Fits a bit better. Don’t feel I have to alter any of the body pieces but will widen the sleeves since it seems a bit tight at the bicep. This is my first adventure into this level of patterns and tailoring.